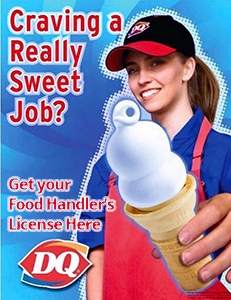 CRAVING A REALLY SWEET JOB? Here at Dairy Queen we strive for excellence. We know that it takes a great attitude, a willingness to be a team player, and most importantly, a want to be a part of something bigger. Ready to start an exciting career? 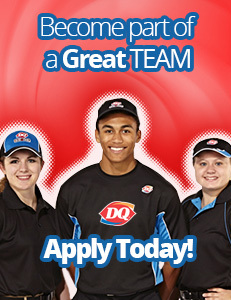 Fill out an application here and join us at DQ! We are looking for people with a great attitude, and most importantly, people who know how to handle food! Get up to date here and get your Food Handlers License!